FEDERAL WAY, Wash. — Walla Walla Community College’s women’s golf team found itself in seventh place in a field of nine teams here today as the second and final round of the Highline Invitational Stableford tournament got underway at the Twin Lakes Country Club. The Warriors tallied 101 points for their top three players and trailed first-place Spokane by 36 points. The Sasquatch’s 137 points were good for a five-point advantage over second-place Columbia Basin. North Idaho was third with a point total of 127, followed by Skagit Valley 124, Southwest Oregon 119 and Bellevue 109. Highline, with 96 points, and Olympic, 93, rounded out the field. Katie Hillard of Spokane and Alex Ferrier of Skagit Valley were the top point-getters individually with 47 points each. Abby Dixon of Southwest Oregon, Shelby Baum of Spokane and Madi Brown of North Idaho were right on their heels with 46 points each, and Aubrey Davis of Spokane and Aly Mabey of North Idaho were tied at 44. 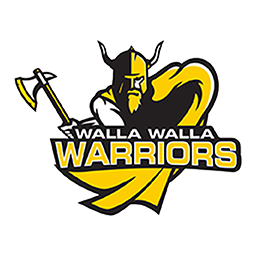 Brooke Ore led the Walla Wallans with 37 points. Brooke Cramer scored 33 points and Camryn Cox 31 to account for WWCC’s other two counting scores. Alexandra DeVille chalked up 23 non-counting points and Ally Chapman tallied eight. Kolby Loflin of Southwest Oregon scored 45 points and led the Lakers to first place in the men’s standings with 159 team points. Todd Henderson of North Idaho was second individually with 44 points, and the Cardinals were second in the team standings with 156 points. The WWCC men’s team was not entered in the tournament.